The Queen battles with the royal icing on the WI centenary cake at this year's AGM. Fruitcake and the WI, the two seem inseperable. And what would a sporting day be without fruitcake? Whether handed round at shoot elevenses or cut up into bite-sized chunks for the hunt meet, fruitcake completes the day. As the WI, the original great bakers, reach their centenary, Hattie Ellis celebrates this great instituion, and their great fruitcakes. For more on fruitcakes, read Hatte Ellis’ 6 top fruitcakes for festive feasting and let her choose your Christmas cake. Or, look at Fruitcake facts: what you didn’t know… to prepare for the Christmas quiz. Anne and Pat judge the WI fruitcakes. In June, HM the Queen cut the celebratory fruitcake of the Centenary AGM of the National Federation of Women’s Institutes. Then a slice from a battalion of cakes, made a couple of months in advance in order to mature, was given to each of the 5,000 members who had been bussed in from all around the country. Fruitcake is as British as chilly beach picnics. And there is nothing more British than fruitcake and the WI. 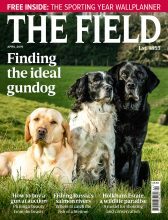 Anyone who has been to a meet, shoot or point-to-point knows a good one from a bad. At Easter, it gets marzipan eggs on top and becomes simnel cake. At Christmas it is covered in hard, white icing, which makes it even harder to cut (Her Majesty joked about this as she struggled and was given a helping hand by the Princess Royal). For a hundred years, fruitcake and the WI have come together as members up and down the land have been weighing out currants, sultanas and raisins, making sure their butter is soft enough to cream correctly, tipping in the rum, whisky or brandy and wrapping the tin generously with brown paper or newspaper to ensure the sides and base don’t go bitter-brown. Fruitcake and the WI go back a hundred years. The idea of the WI was brought over from Canada by the newly widowed Madge Watt, who came to Britain in 1913 so that her sons could complete their education here. Its origins lie in revitalising the rural economy and encouraging women to produce more food as part of the war effort. 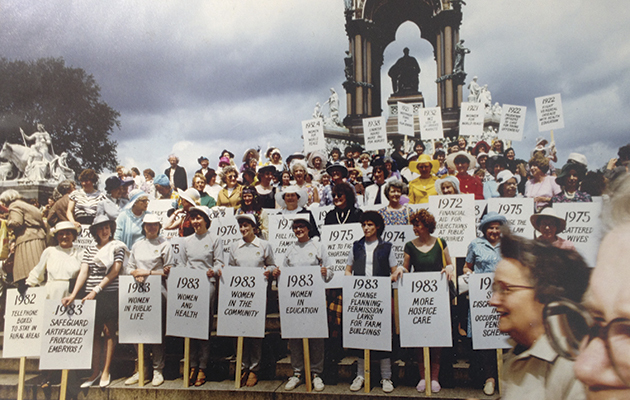 WI members with placards at an Eighties AGM. There’s a tendency to stereotype the WI as being for jam-and-Jerusalem battleaxes. But this undermines its current nature and worthwhile history, not least as it relates to food and farming, including fruitcake and the WI. Recent national resolutions include an SOS for research on the health of honeybees to receive more government funding, a campaign to support local shops and a call for clear and mandatory country of origin labelling on meat, poultry and fish products. The cookbook contains a well-sifted selection from Gwynn’s collection of 200-odd WI books and pamphlets. The recipes have been retested and adjusted to modern tastes – less sugar, for example – with the original published alongside. It’s a fascinating record of how women have actually cooked over the past 100 years, as well as a great collection of tried-and-trusted, good British food. Of course, fruitcake and the WI feature. 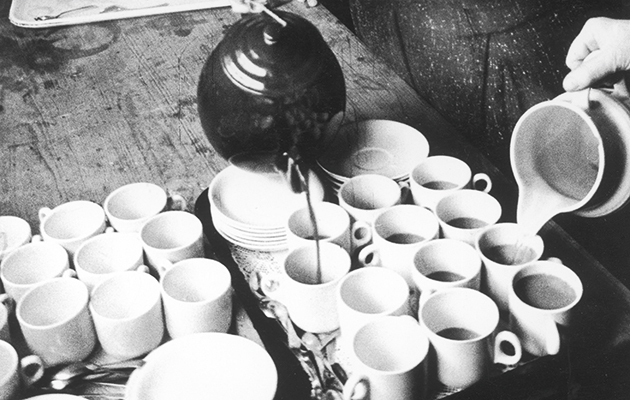 A member of the WI pours tea in 1961. When it was her turn to make a cake for her own group –“the scariest baking I’ve ever done” – Gwynn made one of her favourites, Poverty Cake, an everyday fruitcake using lard as its fat, from a section of Handy Household Hints in a 1921 edition of the organisation’s magazine, Home and Country. A fan of fruitcake since childhood picnics by Scottish salmon rivers, she sees fruitcake as entwined with our national culture, with spices, sugar and dried fruit as part of the history of Empire and its fat and fruits providing energy in a colder climate. Fruitcake and the WI, then, go hand in hand. Both fruitcake and the WI may have long roots, but the movement isn’t static.  In recent years, there’s has been an injection of younger members. Numbers are increasing, with new branches springing up in towns and cities. Nearly 17,000 members have joined in 2015 and 37 new branches have been founded. There are now 50 in London alone. 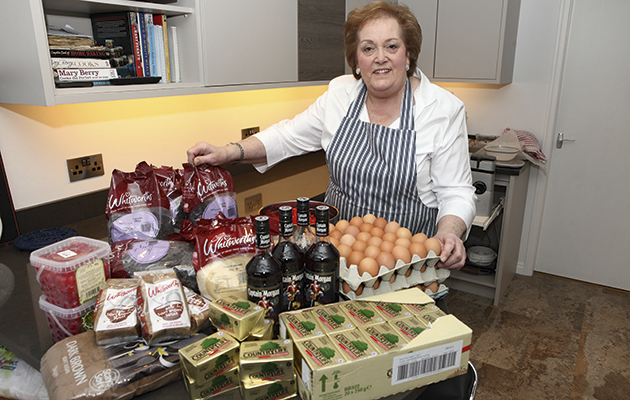 Anne Harrison checks the ingredients of the fruitcakes to judge them. Newcomers join another WI tradition besides fruitcake and the WI: of upholding standards through competitions. There are special training sessions on how to judge and the federation’s 162-page manual of judging criteria, On With the Show, is exacting on everything from vol-au-vents to pizza. Among other points, fruitcakes must have no burnt or hard fruit on the outside and a texture that is “fine and moist, but not wet, heavy or soggy”. 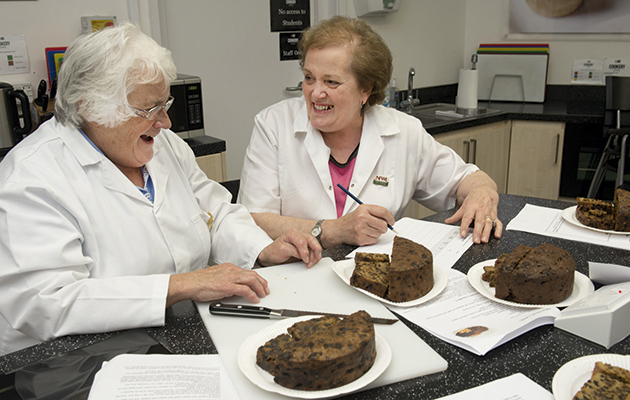 The competition for the centenary fruitcake recipe, a celebration bringing together fruitcake and the WI, went to regional heats and then a grand final. In the history of fruitcake and the WI, it was surely the Judgments of Judgments on the Cake of Cakes. The murmur at head office was that the competition winner was likely to hail from Devon or Yorkshire, two counties with a long-standing reputation for home baking as well as fruitcake and the WI. The victor was Julie Clarke of North Yorks West Federation. The same cake is made every year to feed the masses at the Great Yorkshire Show. This year 160 volunteers ran the 144-cover café for three days, from breakfast butties to cream teas. The Great British Bake Off may be the bright new face of the baking but the WI is its backbone. Harrison has form for making fruitcake for VIPs. One year she got the call from the Chancellor of the Exchequer’s office to make one of the WI’s legendary teas for a G7 meeting. George Osborne was told to put on an apron and wash his hands before dolloping home-made jam on the scones. Harrison talked to Christine Lagarde and Mervyn King, who was off to do a Jamie Oliver cooking course on retiring from his post as chairman of the Bank of England. The fruitcake was served in the Yorkshire way, with Wensleydale cheese. “I don’t know what the Chinese made of it all,” says Harrison. 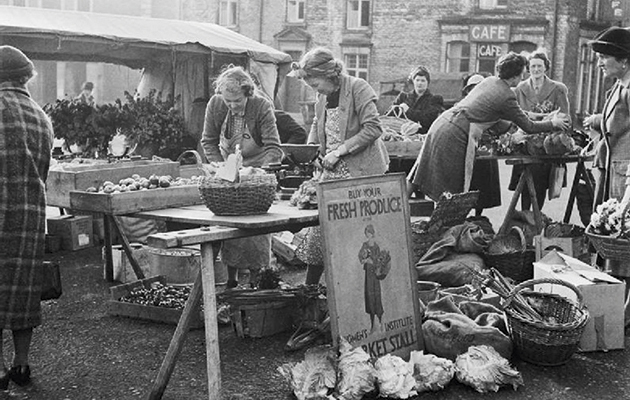 Members of the Women’s Institute (WI) selling home produce on stalls at Malton, Yorkshire, during the Second World War. When I spoke to cake competition winner Julie Clarke, she had just come in from tending sheep on her quad bike on her farm in Coverdale. She’s been a member since 1974, and is one of the 2,500 members in 97 Institutes in North Yorks West. Fruitcake is part of farm life, and Clarke always freezes half the Christmas cake to produce at strenuous time such as silage-making and sheep-clipping. “You need something you can bring out quickly and is satisfying enough to fill you up,” she says. A show judge and cookery demonstrator, she is part of the proud tradition of not just maintaining standards but passing on skills for fruitcake and the WI. At the Great Yorkshire Show, the classes included a centenary sugar-paste cake and there were 42 entries for a set recipe for a tea loaf. “There’s no rivalry, but I must admit they all do like to win,” she says. Recently, Clarke was part of a national Let’s Cook project and taught two 10-week courses to twentysomethings that covered such basics as what to do with mince and how to make pastry. 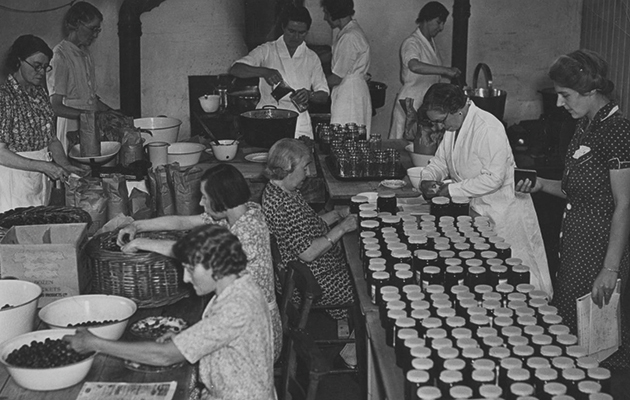 Members of the WI in a jam factory, 1940. But even as 100 years of good home cooking and baking come to pass, a question must be raised. Is fruitcake in danger of being swept into the crumbs of history? What is the future for fruitcake and the WI? In supermarkets, there’s been a name rebrand for the likes of fruited Genoa cake, as if the very word fruitcake were a marketing no-no, and wedding cakes are turning to chocolate. Perhaps the rich sweetness of dried fruit puts people off. Or perhaps it is the fact that badly made fruitcake can be burnt outside and raw in the middle. Then there’s the tendency to make changes that cater to the risk of nut allergies. Nuts are not obligatory, but they do add texture as well as taste – at the very least, ground almonds give a delicious moist richness. I spoke to the best artisan fruitcake makers about what makes a good fruitcake and was glad to learn that nuts are still a vital ingredient, not least because they look so good on the top. As well as selling to the home market, these producers send parcels of long-lasting fruitcake all over the world, be it to troops serving in Afghanistan or expats who want a proper taste of home, just as people used to send them to relatives around the globe as part of a Christmas hamper. Fruitcake and the WI are keepers, and for fruitcake both in the tin and as a tradition. And long may it remain so, as long, in fact, as British bakers – be they WI or British Bake Off aficionados – keep the home fires, though not the currants, burning for another 100 years, at least.